If you are a regular customer of Apple iBooks Store, you will find the majority of the iBooks are delivered as EPUB format. As a format specially designed for eBooks, EPUB is taking the market rapidly. However, in some specific situations, like business and education, PDF is still playing an important role. So what if we bought EPUB books from Apple iBooks but want them in PDF format? It is impossible to edit or convert a book with DRM. So if we want to convert iBooks to PDF, we must remove the Apple Fairplay DRM (iBooks DRM) at first. To remove iBooks DRM you need a tool called “iBooks Copy”. It is a shareware costs $29.95, while you can buy it with 20% off discount with this link. For how to use iBooks Copy to remove DRM, please read this guide. After removing DRM, the Apple iBooks will become normal DRM-free EPUB books. As a standard format, you can easily convert them to PDF. If you just need to convert small amount of light size iBooks files, online converters can be your choice, as they are free to use and no need to install. Below are some recommended online iBooks to PDF converters. Online-Convert – Upload from computer or from Dropbox/Google Drive. Besides converting an iBooks to PDF, you can also edit the book’s metadata like title and author. You can also customize the page margin and font style. Zamzar – An all-in-one online converters, of course it can convert iBooks to PDF. However, this online tool doesn’t provide any additional features but just file format conversion. The file size limitation on single file is 50MB, which is enough for iBooks. If you need to convert bunch of iBooks, and some of them are large size files, you will need Calibre. 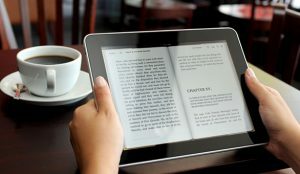 Calibre is the household name among eBook fans, it almost meets all your needs for eBooks and eReaders. It’s available for Windows, Mac and Linux, even portable. Draging iBooks into Calibre and click “Convert books” icon, choose PDF, then you can get the ouput PDF file in seconds. If you are new to Calibre, you can check this guide about how to convert books with Calibre. Alright, above is how to convert Apple iBoosk to PDF. By the way, you may also interested in how to iBooks on Kindle or on Kobo.